Valiant Recovery is a diamond in the rough when compared to typical substance abuse treatment facilities and programming. 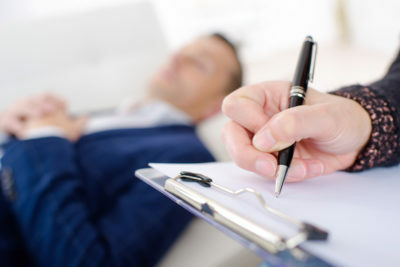 It is our belief that individuals that are suffering with addictions that are high functioning and are professionals deserve a level of treatment and care that matches the lifestyle they are accustomed to. Recovery from addictions can be done in our elegant and luxurious accommodation situated in gorgeous Kelowna BC. The stately residence that you would be staying at is extremely comfortable and will provide the privacy needed to increase your chances at freedom from addiction. You will wake to delicious meals being prepared by our caring staff each morning before attending the programs that we have selected for you. Programs that have helped countless others that have chosen our services. At Valiant Recovery, we have a large professional staff that actually cares, empathizes with and attends to the needs of our clients in a very personal manner. We are all on a first name basis and we form relationships with our clients and get to know their story so that we can treat their substance abuse issues and addictions with understanding and compassion. A wide variety of options concerning therapy is essential, and Valiant Recovery offers many treatment options. Art, equine therapy, physical fitness, anger management, spiritual counselling, stress management, and many other programs allow you to heal and recover completely, so that substance abuse is no longer needed or desired. We acknowledge that there is a root cause to many addictions and we treat the causes as opposed to the symptoms and we aim to help our clients get back to a well balanced state of self care. At Valiant Recovery, you will get the personal attention and help that you deserve, so you can get back to your life and the really important things like family. You may return home with a new perspective on life and with new goals. The freedom that is experienced from becoming free of drugs and alcohol is worth the effort that is needed throughout treatment. At Valiant Recovery, our guarantee shows that we stand behind the success of our programs. How Long Should My Program Be ?